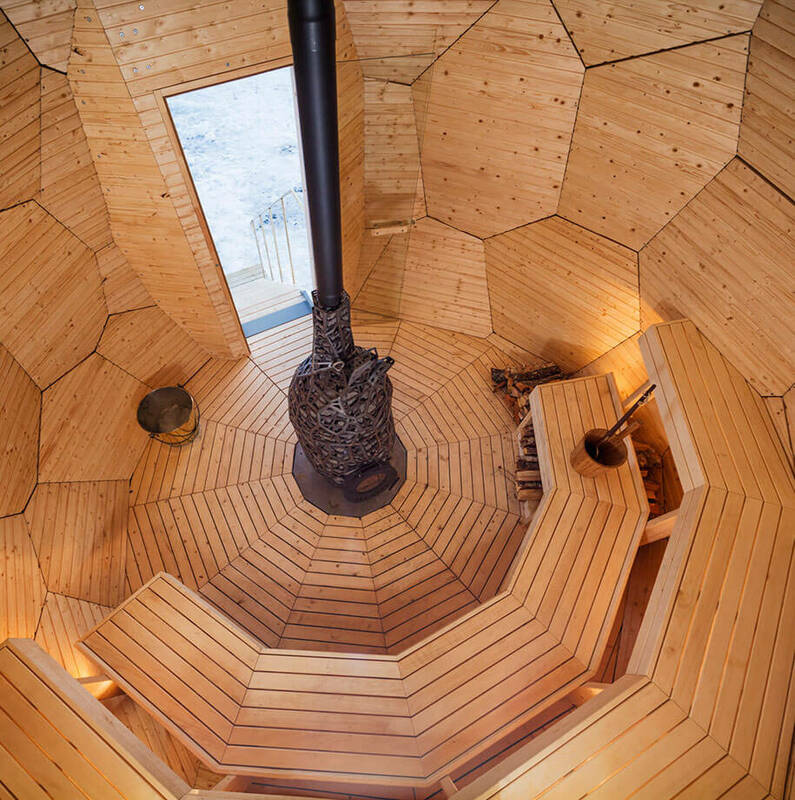 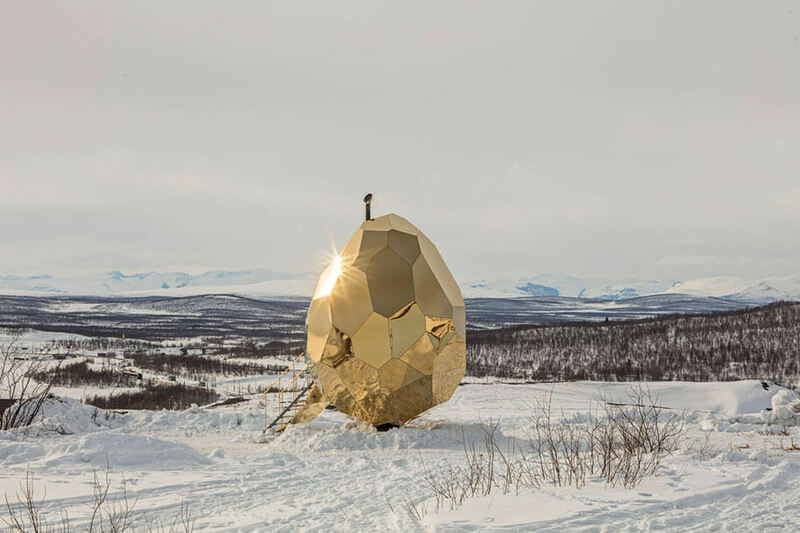 Can You Figure Out If This Golden Egg Structure Is a Sauna Or a Solar Station? 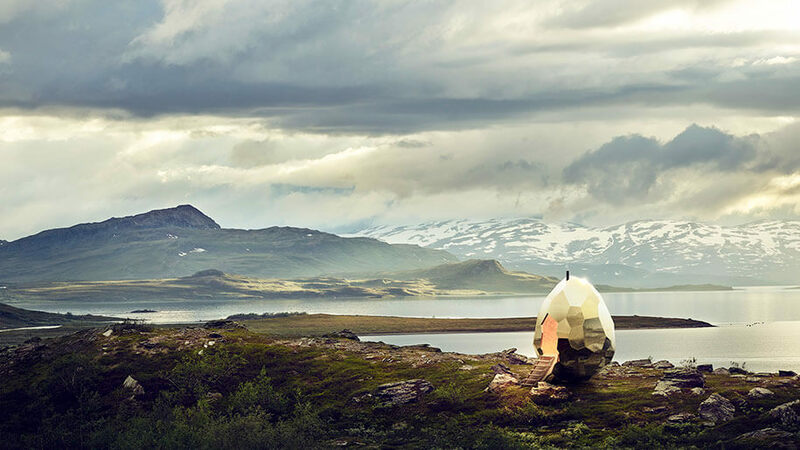 Home / Entertainment / Is This a Solar Egg Or Public Sauna? 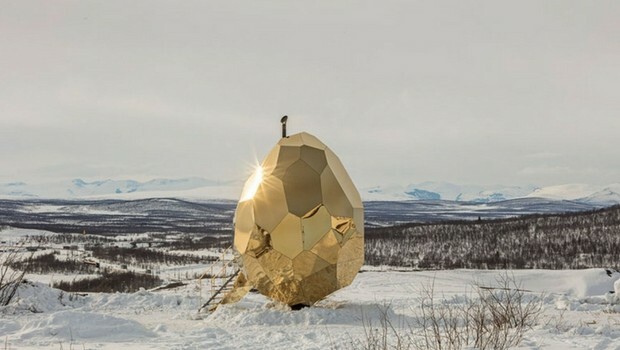 Now for those wondering what it is, it’s called the Solar Egg, and it’s actually a rather brilliant design for a social structure for townspeople to meet and talk, while also serving as a fully functioning sauna. 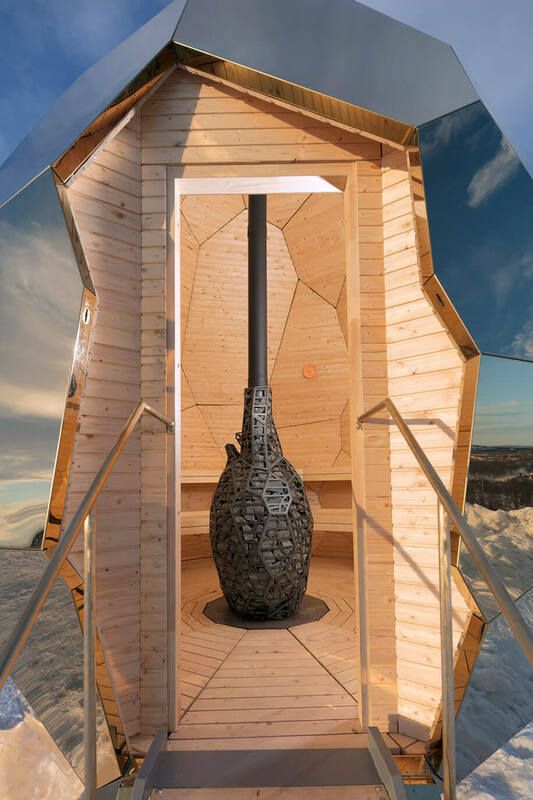 This sauna is designed for harsh Kiruna’s town Arctic climate, As you might know it can go from 24-hour-a-day complete darkness during the winter to just the opposite with the hot sun 24/7 in summer. 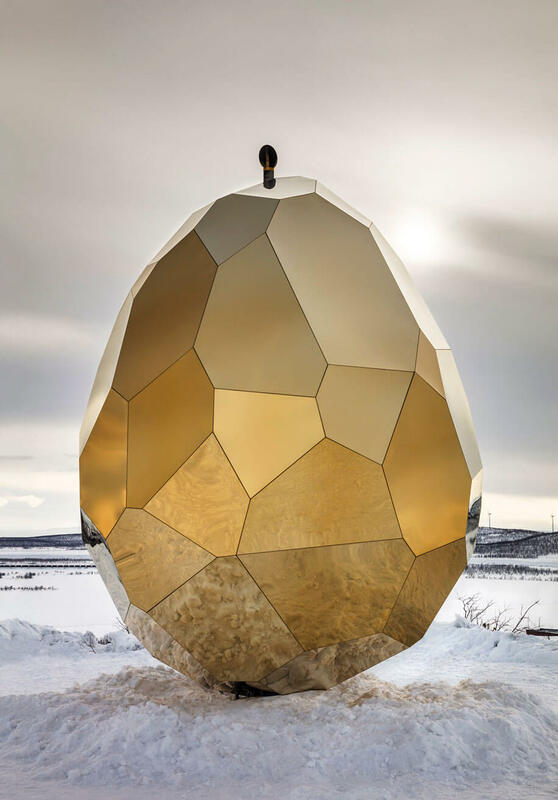 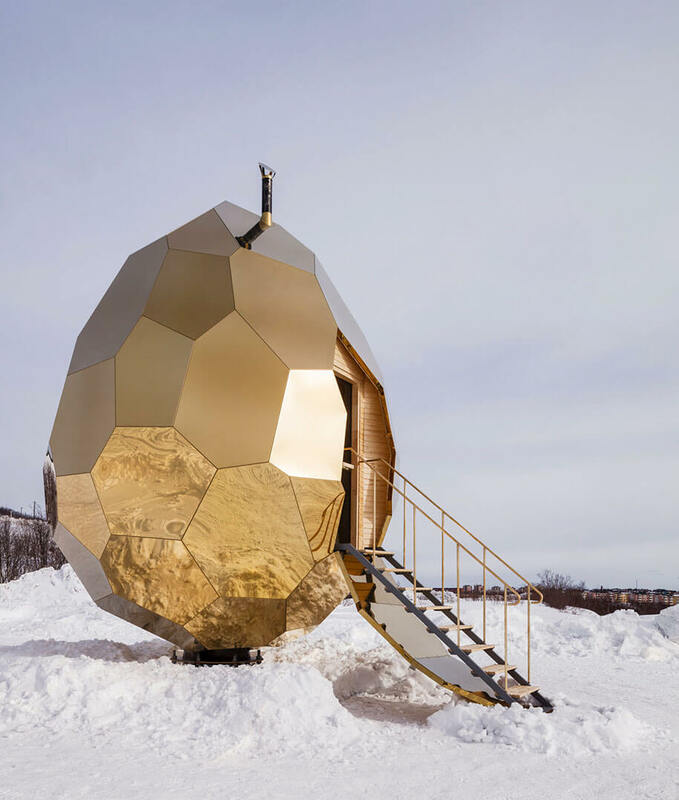 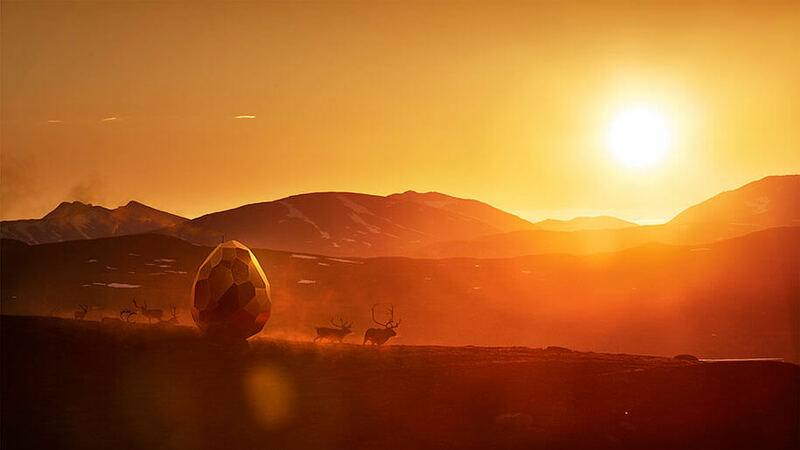 The egg is 5 meters tall (16.5 feet), 4 meters wide (13 feet) and is covered in a gold-plated stainless steel shell that reflects the contrasting landscape around it. 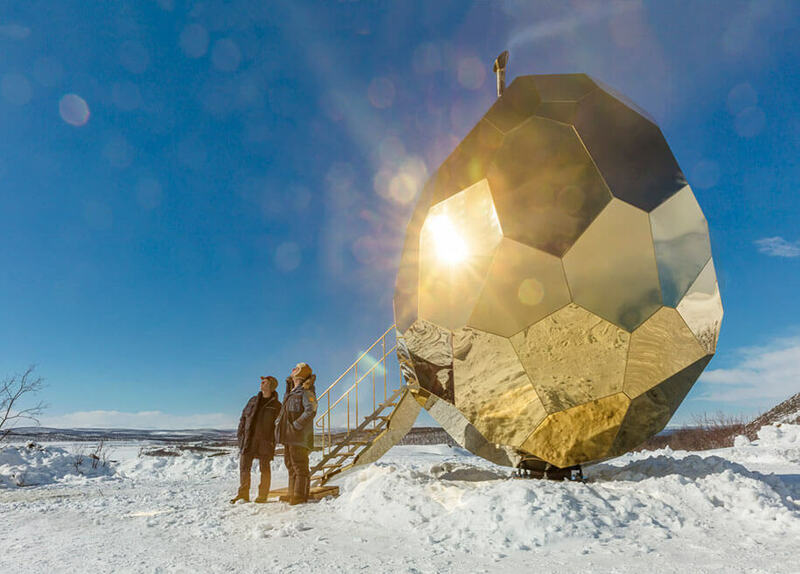 What is even more impressive, is that it can be disassembled and moved to another location, as it is constructed out of 69 detachable pieces. 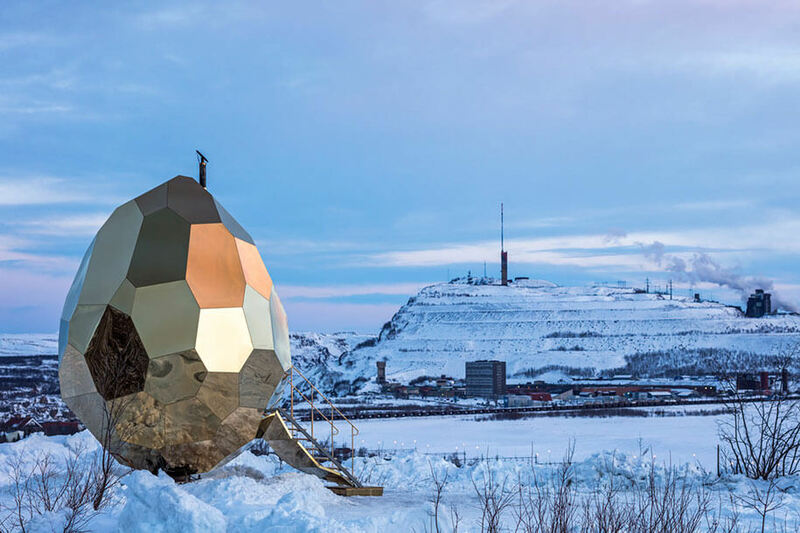 The egg shape was chosen for its symbolism of rebirth, as that’s what the community is doing with its citywide relocation due to its history of iron ore mining. 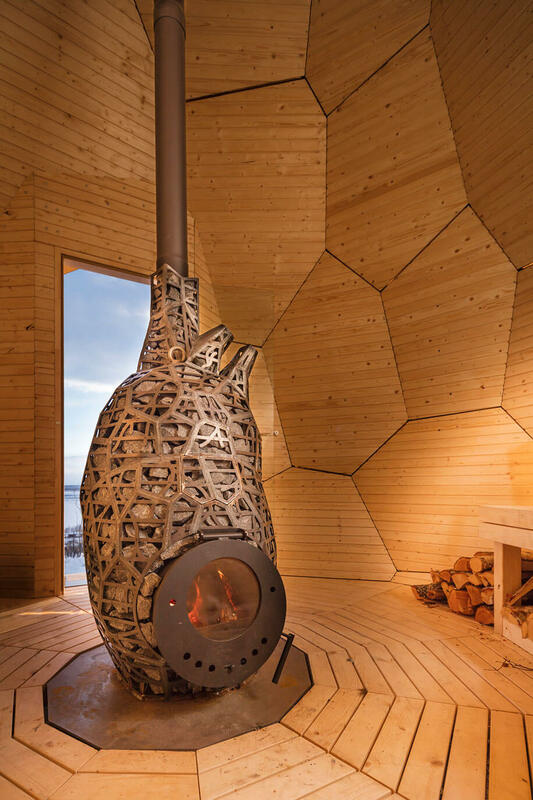 Saunas are a popular meeting place that the designers thought the town’s people could meet and have talks around the cute heart shaped wood burning fireplace. 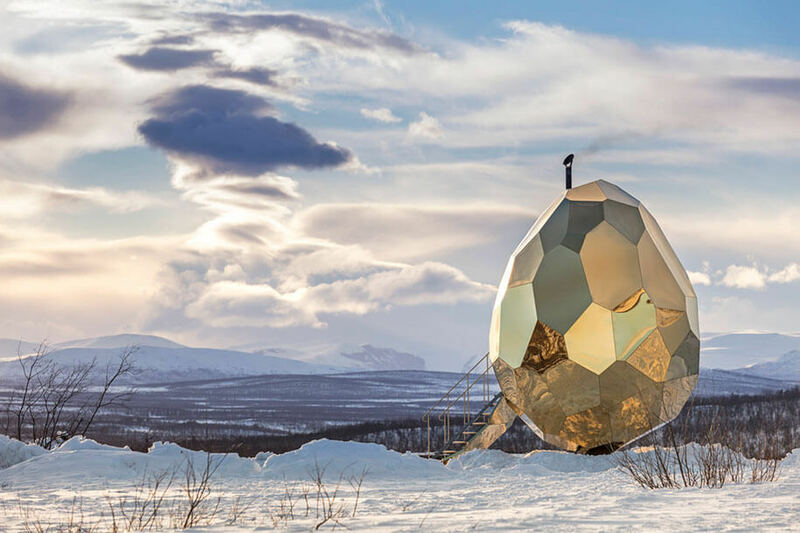 Much more like gathering around the fire during chilly, wintry Christmas nights, only that in Sweden is winter almost all the time. 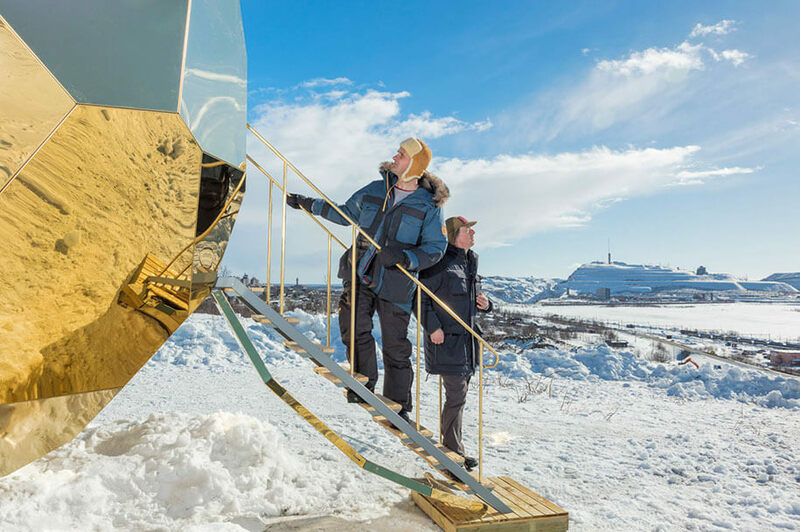 We say it is a very bold initiative and a very beautiful work of art and want to see more around the world: more bold artists and initiatives and art in its purest form. Next Story → Follow These Tips And Bring Your Hair Back To Life!